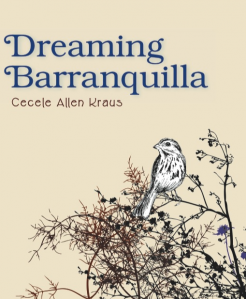 Cecele Allen Kraus is a poet living in Copake, New York. She was a Peace Corps volunteer in the mid 1960s. A return to Colombia inspired this set of poems of memory and rediscovery. Her work has recently appeared in two chapbook anthologies, Zephyrs, the result of a 2009 Millay Society workshop, and Java Wednesdays. This year she won first place in the Hudson Valley Writers Guild annual poetry contest and an honorable mention in Passager’s contest.